Whether you are moving into a new place or upgrading your current place, these top 9 home essentials will make home living a lot easier and safer! What: The NetCam HD+ Security helps you keep check on your home, kids, pets or anything you want to keep an eye on. With the NetCam app you will be able to easily see whats going on right from your connected devices! ​What: The Linksys VELOP Whole Home Mesh Wi-Fi System provides fast speeds through its combination of three Wi-Fi radios, each tuned for optimal Wi-Fi load balancing to ensure peak Wi-Fi performance throughout your home. What: ​VAUX is the first battery-powered speaker designed specifically to house the Amazon Echo Dot. Its cordless portability, enhanced audio quality and beautiful modern aesthetic let’s you enjoy VAUX anywhere in your home environment. ​What: The ​48” 4-Speed Tower Fan with Remote Control features four quiet speeds with an fresh air ionizer option and an electronic 7-hour timer. The color scheme and sleek design makes it perfect for any home! ​What: More than just a mirror, HiMirror helps you assess your skin‘s condition including wrinkles, fine lines, clarity, dark circles, dark spots, red spots, and pores so that you can effectively and efficiently target problem areas and move toward your beauty goals. What: The Kwikset SmartCode 915​ is a customized automatic door locking system for peace of mind. It features easy to program user access codes for increased security. SmartKey re-key allows you to re-key your lock in seconds! What: The Anolon Imperion Damascus Steel 5-Piece Knife Set features 67 steel-and-iron layers for unparalleled strength, beauty, and cutting performance. The set includes an 8-Inch Chef Knife, 8-Inch Bread Knife, 5-Inch Santoku Knife, 3.5-Inch Paring Knife and a Wooden Knife Block. With double-riveted handles and stainless steel end caps the knives provide a secure grip. 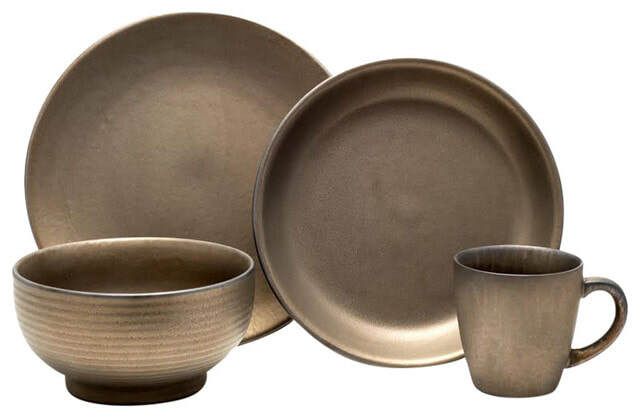 What: The Teton Tablescapes 16 Piece Dinnerware Set by Gaia Group USA has a lustrous metal look. With rustic stoneware the beautifully burnished surfaces accentuate the individual character of each piece, ensuring no two pieces are exactly alike. The elegant set features the perfect number of pieces for entertaining or dining with the family.